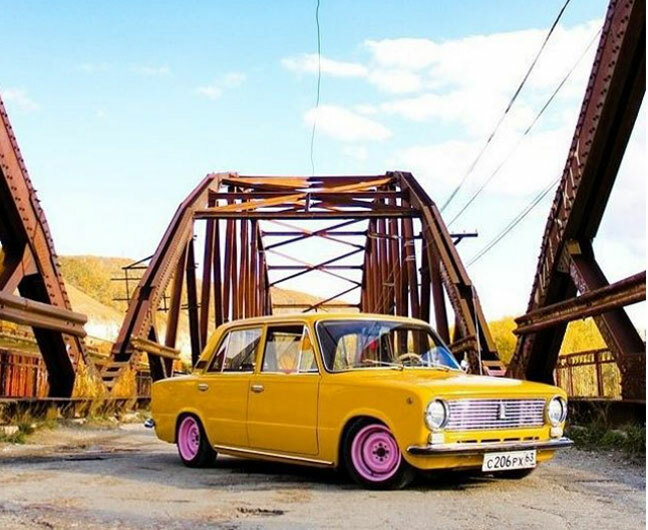 It's been 46 years since the first Lada rolled off the production line in the Volga city of Tolliatti. The debut model, nicknamed "Kopeyka", is still beloved among Russians. This Lada looks like part of the landscape, doesn't it? ...or serve as a mobile store. The Lada can be an inspiration for your own artwork. No wonder after all these years the Lada still looks as awesome as Red Square!